I received a free product for the purposes of the review. No compensation was provided. All the comments are my own. Are you one of those moms that is totally crafty and makes all kinds of cute things for the holidays and then posts a how-to video on YouTube? Well I’m so excited you are, because I’m not. I wish I was, but at this juncture in life all I can say is Thank goodness for Pinterest! And thank goodness for Kiwi Crate! Launched in 2011 by executives from eBay, PayPal, YouTube and BabyCenter, Kiwi Crate sends you fun, hands-on projects for kids ages 3-7 monthly. 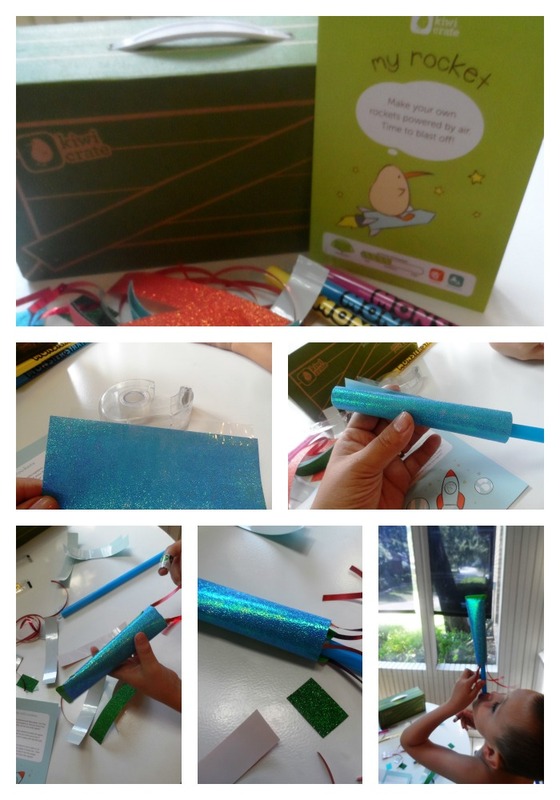 Kiwi Crate’s arts, crafts and science projects are developed by parents, reviewed by child development experts and tested by kids. Projects are created around themes like gardens, space or colors, and designed to encourage creativity, exploration and discovery and conveniently in this cute little box. I was so happy to share craft time with son when all the thinking was out of it with my Rocket Party Pack from Kiwi Crate. Celebrating Independence Day, the simple packet gave us everything we needed to make 10 rockets that my kiddo could blast off in the air by just blowing on the straw. Best of all, I didn’t have to research a craft idea, get all the materials together and figure out how to do it. It was all in the box and we just opened it and went straight to having fun! Kiwi Crate has received multiple awards honoring quality and creativity, including a Gold Seal Best Toy Award from Stephanie Oppenheim’s prestigious Toy Portfolio, the Parents’ Choice Gold Award, and Academic’s Choice award. Kiwi Crate was also named by Dr. Toy as a “Ten Best Creative Product” and “100 Best Children’s Products” of 2012. Kiwi Crate’s monthly subscription service available at www.kiwicrate.com, starts at $16.95 per month with free shipping. 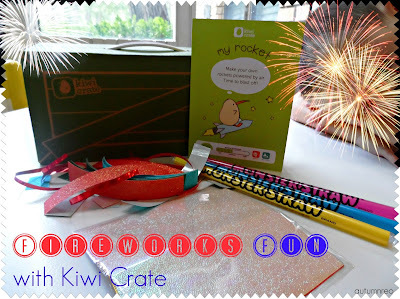 Kiwi Crate also offers single crates available without a subscription for $19.95 each; as well as party favors and activities, starting at $5 each at www.kiwicrate.com/shop. Additionally, Kiwi Crate offers a collection of over 1,500 free hands-on project ideas at www.kiwicrate.com/diy. That looks really fun!! I love crafting with my kids but I also love it when crafting is made so simple … it makes it way more likely that crafting time is going to happen! Look forward to trying this out next year. Looks like fun too bad the 4th is tomowwor. This is such a great craft for kids! It also creates excitement about what’s coming next. How fun- looks like a great way to get hands on with kids on the 4th of July!